It feels good to come home to our urban farm! 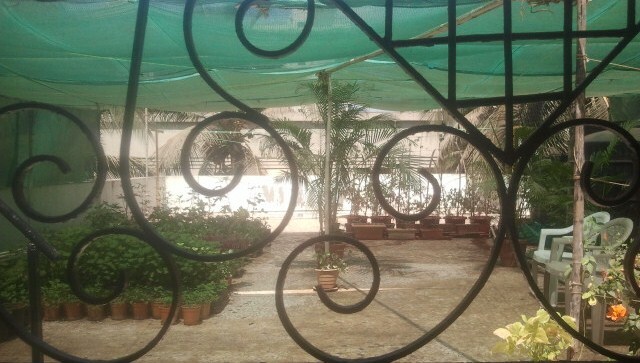 The first glimpse of the farm beyond the black, iron grilles of the terrace door, the first breath of clean, oxygenated air, the first scent of green freshness, is always exciting after a long day in the polluted metropolis! 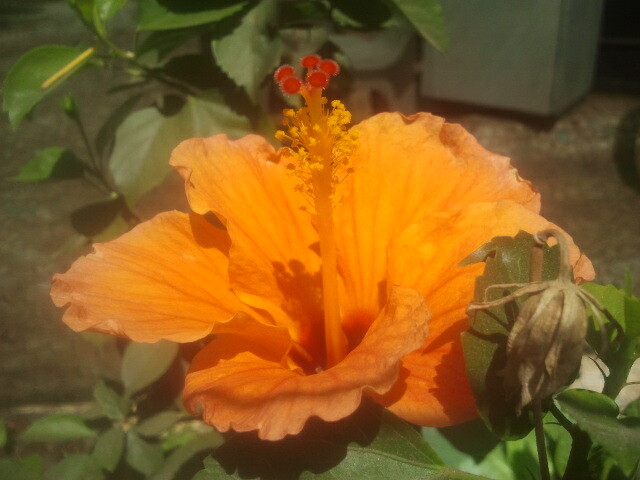 A burst of orange hibiscus stands by the entrance to the garden, welcoming us within. There’s something to harvest every day. 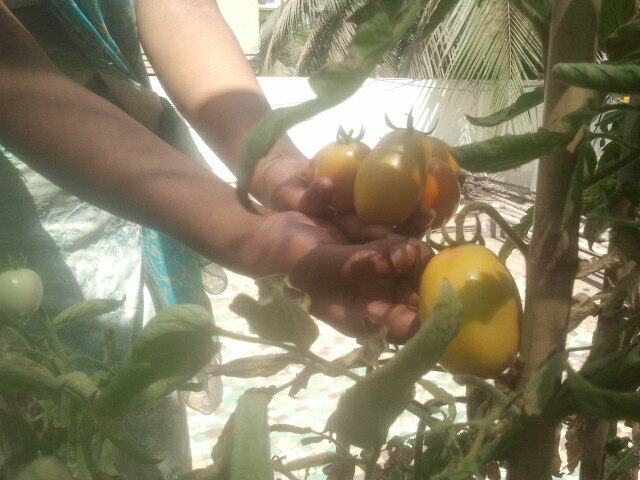 It’s fun to pluck fresh tomatoes just before you toss them into the curry! Now that we have our evening garden routine worked out, the day seems incomplete without it. If I find myself held back in meetings or stuck in the painful suburban commute at this time of day, I begin dreaming about the garden and longing to return home! There have been occasions when my children and I sneak into the garden late at night, to make up for a missed evening hour. Then the family huddles together and conversations meander around teenage loves, the good life, interesting trivia, hopeful dreams and ambitious plans. And we speak in hushed voices with only the garden as witness…. This entry was posted in agriculture, Bombay, city, Container, Farming, flower, Gardening, green, Hobby, lifestyle, Organic, root, seeds, Sustainable, Terrace, Tropical, urban and tagged agriculture, farming, garden, green, grow own food, harvest, herbs, hobby, kitchen garden, mumbai, organic, plants, sustainable, terrace, urban on May 12, 2013 by Mandy.